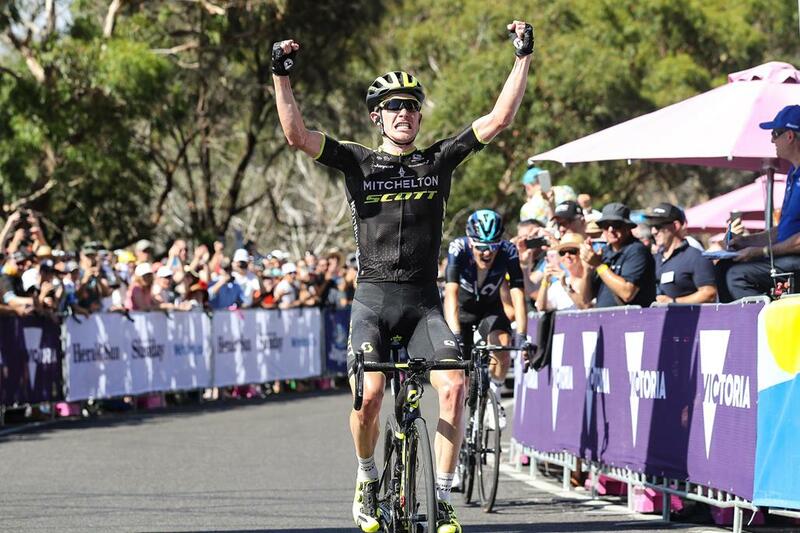 In his debut season for Mitchelton-SCOTT, 24-year-old Nick Schultz has won the Queen stage of the Jayco Herald Sun Tour for the first victory of his professional career. Capping off an aggressive race, Schultz won a two-up sprint with Dylan van Baarle (Team Sky), the pair the final survivors of an earlier breakaway that completely shook up the race. The ride puts the Queenslander in second overall, 24 seconds behind Van Baarle, with one day left to race. Sitting fourth overall with Lucas Hamilton going into the penultimate day, Mitchelton-SCOTT went in with a clear objective to threaten the leading teams with aggression. They succeeded almost immediately, causing a big split in the peloton in the opening kilometres, with race leader Michael Woods (EF Education First) and second overall Richie Porte (Trek Factory Racing) both missing the split. 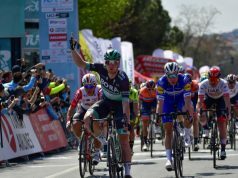 The race pulled back together, but the tension was already on as a new group of five riders went off the front and were shortly joined by three more, including Schultz, to make eight in the lead. By the first of four ascents of Arthurs Seat, the lead group had over two-minutes advantage on the bunch. As they crested the top, the breakaway was already showing small splits, with Schultz in the front four who were clearly the stronger climbers. Behind, riders were quickly losing touch from the bunch too. 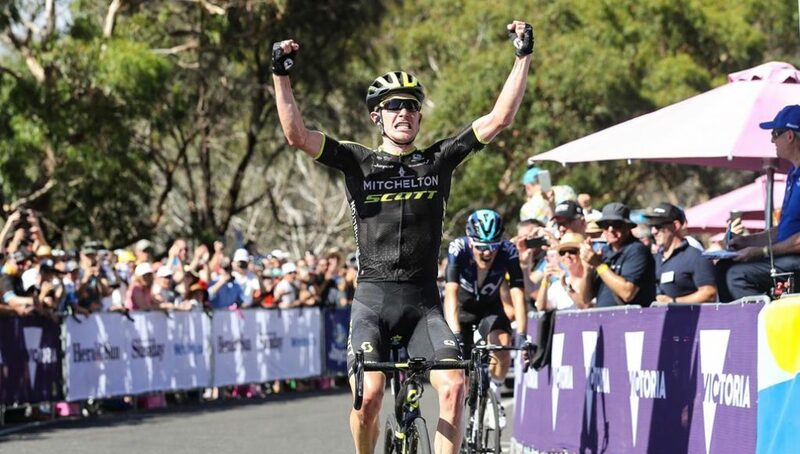 By the second time up the climb the break had reduced to five and the chase to just 20 riders, with Mitchelton-SCOTT still represented by four riders including Hamilton, Damien Howson, Dion Smith and Callum Scotson. EF Education First and Trek-Segafredo were struggling to maintain control, and losing men fast and by the top of the penultimate climb, their leaders Woods and Porte were isolated. With no one left to ride, their intensity disappeared from the chase as they accepted the inevitable loss. With just Schultz and van Baarle remaining out in front for the final laps, the two worked together before Schultz took the lead to ride up the final climb with the Dutchman on his wheel. The Australian had just enough left to launch a sprint to claim the mountain-top win. 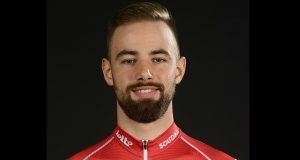 After a stagiaire stint back in 2016, Schultz re-joined the Australian WorldTour outfit in 2019. The Jayco Herald Sun Tour is his third race this year, following the Australian Championships and Race Melbourne Cirterium. Today’s victory is his first win for the team and the first in his professional career. Nick Schultz – “A lot of it was down to right time right place. The whole team was really strong, we put the GC teams under the pump right from kilometre zero. “I was the lucky one to sneak into the right move that was given a bit of leeway. It was the perfect scenario, Sky had numbers and they also had Van Baarle up there who was ahead of me on GC, so they just drilled it until Dylan and I went with two and a half laps to go and from there it was all out. “Initially I had to dig pretty deep to get across (to the break), but also Sky waited to let us across. Basically, from their point of view it was so we wouldn’t chase from behind. 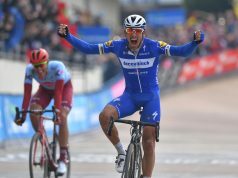 “I worked a bit at the start, until it was clear that they were sacrificing two guys full gas for Dylan, so I just sat in the wheels like he did. 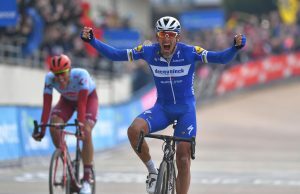 It wasn’t until we were two up that I worked with him, but still again there I had to play a bit of cat and mouse to show that I was more interested in the stage win than the GC and I think that aligned with his views. “This means the world. I have been kicking around in Spain for two years in a small Pro Continental outfit. It was a great experience but I can’t thank Gerry and the team at Mitchelton-SCOTT enough for the opportunity to be here, first of all, and to be part of a structure that allows a win like that.